Mast-Jägermeister has announced the launch of Manifest, its first super-premium line-extension. The herbal liqueur, priced at €29.99, will be available from March 2017, appearing in selected markets in Europe and travel retail. Like the original Jägermeister, Manifest is made from extracts of herbs, blossoms, roots and fruits, though master distillers from Mast-Jägermeister have added additional botanicals to the standard blend. 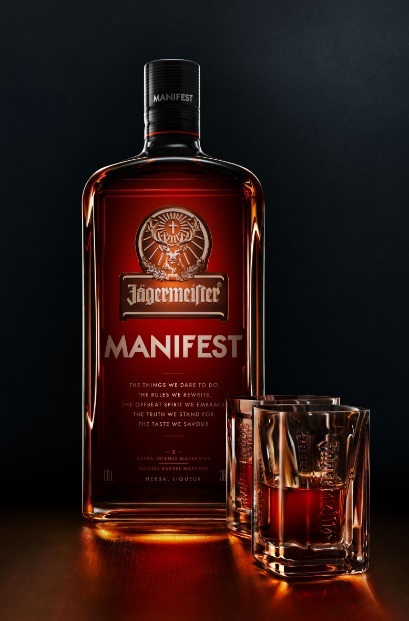 Manifest has a slightly higher alcohol content than the original Jägermeister (38% abv instead of 35% abv) and uses a twofold maturation process which the company claims is unique. The new expression is described as a full-bodied, robust blend, with sweet notes of anise and dried fruit which give way to subtle spice and aromatic bitters, finishing with vanilla. Mast-Jägermeister has packaged its line extension with a new clear bottle with bronze detailing. Michael Volke, chairman of the executive board of Mast-Jägermeister, said: “With Manifest, Jägermeister once again stands out for daring to be different and having the courage to rewrite the rules. This new product makes us the world’s first spirits manufacturer to define the super-premium category in the herbal liqueur segment”.